SUNNYVALE, Calif. & SWINDON, England–(BUSINESS WIRE)– Alta Devices and PowerOasis have announced they are partnering to develop the world’s first reference design for integrated solar and lithium-ion (Li-ion) battery power systems for small unmanned aerial vehicles (UAVs). 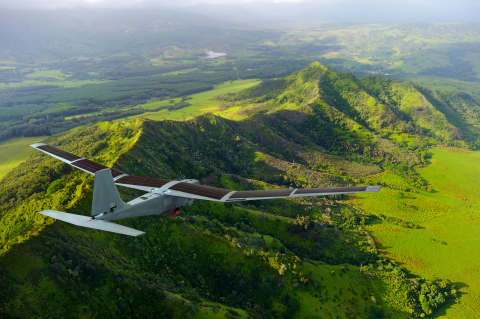 By combining Alta Devices’ breakthrough solar technology with PowerOasis’ proven expertise in hybrid power systems, small UAV developers can focus on leveraging their core expertise in aircraft design and performance. Many aircraft companies are turning to solar to provide added endurance to UAVs. A typical battery-powered UAV can normally stay aloft for only a few hours. With solar added to the wings, the same aircraft could fly all day. By combining the certainty of Li-ion battery power with the range and power extension of Alta Devices’ uniquely thin, flexible, and efficient solar cells, UAVs can now accomplish tasks that have not previously been possible. These include: infrastructure inspection over long distances, long range search and rescue operations, precision agriculture on industrial farms and communications infrastructure provisioning to underserved locations. Alta Devices is (EM)POWERING THE UNPLUGGED WORLD™ by delivering the world’s most efficient, thin and flexible mobile power technology. By converting light of any kind into electricity, Alta Devices’ AnyLight™ power technology extends the energy source of a system, and in many cases, completely cuts the traditional power cord. The solution can be completely integrated into the final system, and is ideal for use in unmanned systems, consumer electronics, sensors, automotive, remote exploration, or anywhere size, weight, and mobility matter. Alta Devices holds world records for energy conversion efficiency and is headquartered in Sunnyvale, CA. For more information, visit http://www.altadevices.com. Alta Devices is a Hanergy company.